Its vast array of extraordinary natural landscape and unrivaled luxury services beautifully encompass the glamour of Hollywood. 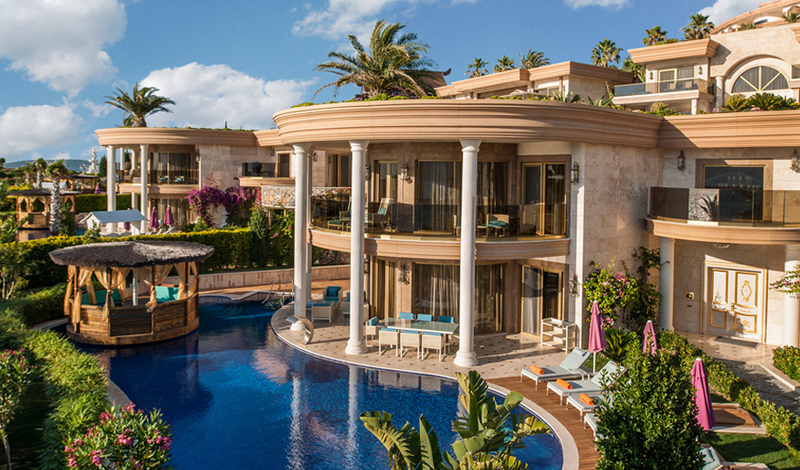 With a total of 134 elegant rooms, suites and villas ranging from 195-900 m2, the resort boasts an impressive selection of luxury accommodations to ensure guests receive nothing less than star treatment. Golden jacuzzis overlooking a magnificient view of the crystal blue sea, Buggati kettles, Bvlgari amenities, indoor pools, outdoor infinity pools, marble bathrooms, home gym facilities and smart room control systems via Apple TV are just some of the unique embellishments featured in our luxury accommodations. Covering a total of 35 m2, the Studio Rooms are located high on the hillside, featuring a spacious balcony with sea view. They can accommodate up to 2 guests, either with a king size bed or twin beds. The Scene Suite is 90 m2 can accomodate up to 3 guests. 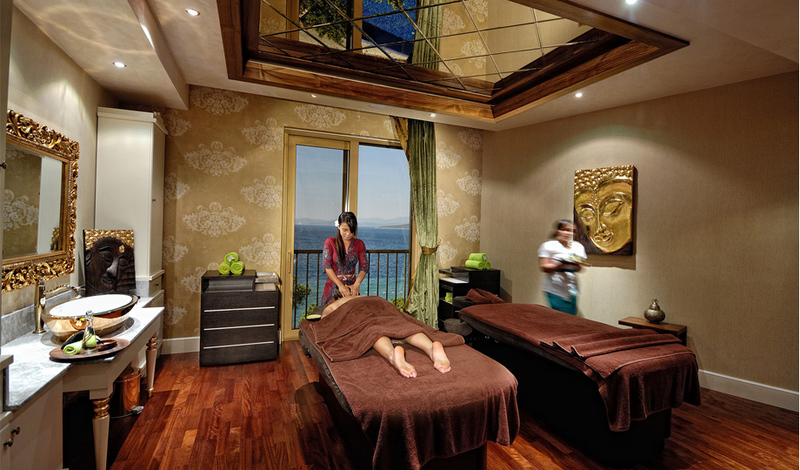 They feature a lavish jacuzzi with sea view, marble bathroom, dressing room and private terrace or balcony. The 120 m2 Stage Premium Suites can accommodate up to 3 guests. 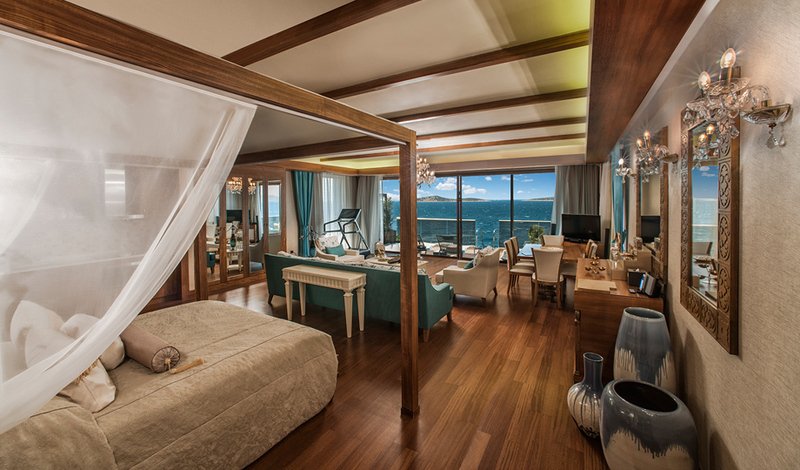 The suite, features one king size bed, sofa bed, dressing room, private pool and jacuzzi the terrace. 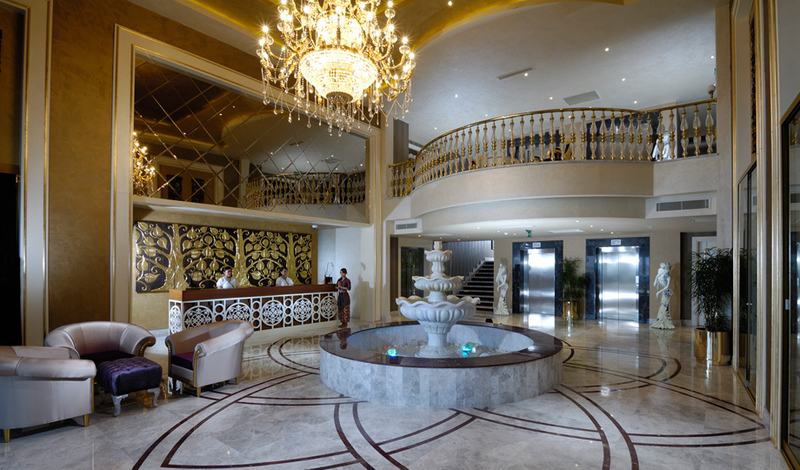 The 145 m2 two-bedroom Stage Grand Suite can accommodate up to 5 guests. It features a king size bed and sofa bed in its master bedroom, twin beds in the second bedroom, a private pool and jacuzzi on the terrace. 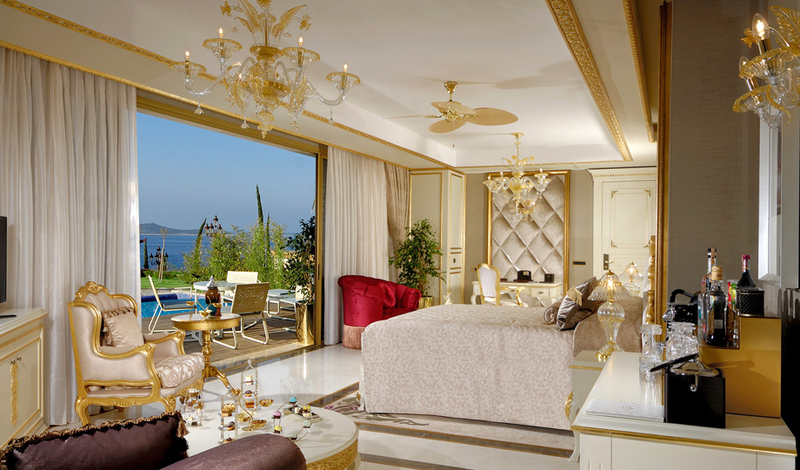 The Set Suite is 180 m2, with two bedrooms, marble bathrooms, kitchenette, dining room and private pool with jacuzzi. The master bedroom features a king size bed and separate dressing room while the second bedroom features either a king size bed or twin beds. The 110 m2 Maldivian/Premiere Suite features one bathroom, separate dressing room and sea-facing jacuzzi alongside its private infinity pool. The 195 m2 Maldivian/Premiere Villa is a two-storey, two-bedroom villa that can accommodate up to 4 adults. It features a sea-facing jacuzzi alongside its private infinity pool, two bathrooms, living room, kitchenette, dressing room, private balcony and terrace. The two-storey, two-bedroom Paramount Deluxe Villa is 245 m2 and can accommodate up to 5 guests. The villa features three bathrooms, a dressing room, terrace, sundeck and jacuzzi alongside a private pool and garden. 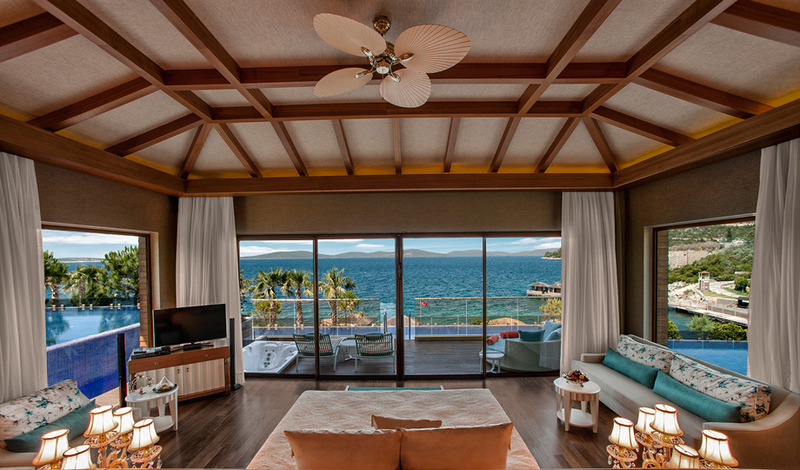 The Paramount Premium Villa can accommodate up to 8 guests, with four bedrooms and five bathrooms. It features a living room, dining table, kitchen, elevator, terrace, patio, sundeck and private pool with jacuzzi. 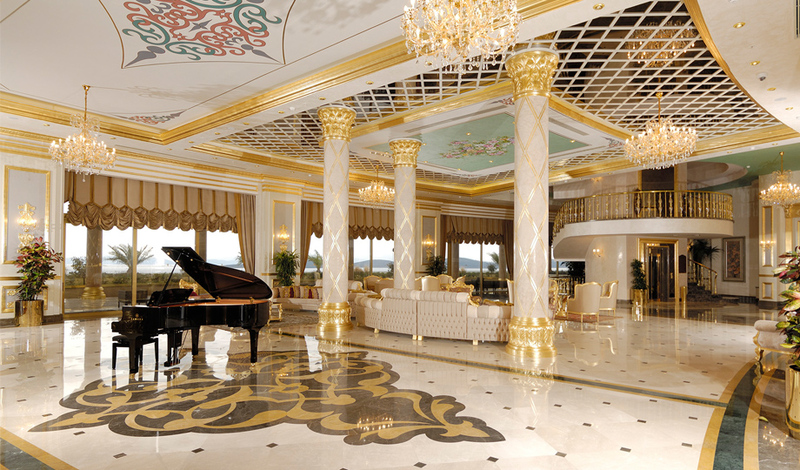 The 725 m2 Paramount Grand Villa can accommodate up to 10 adults. 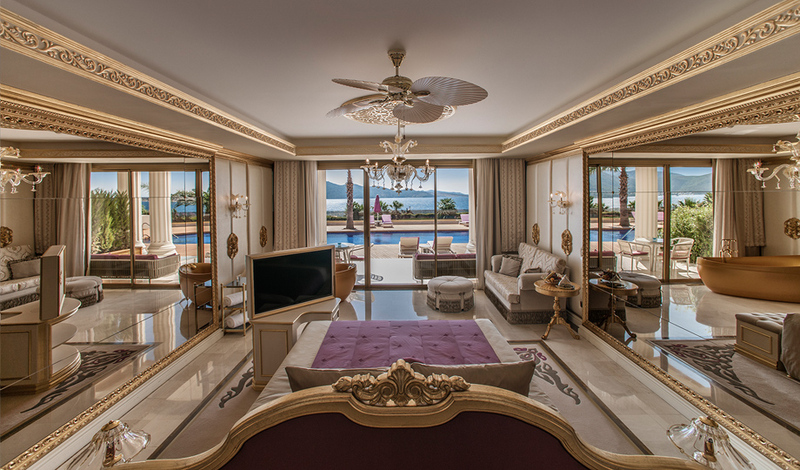 It features five bedrooms, a living room, kitchen, six marble bathrooms, Turkish bath, sauna, massage room, elevator, private indoor and outdoor pools, jacuzzi, patio and sundeck. The 900 m2 three-storey Producer Villa can accommodate up to 10 adults. 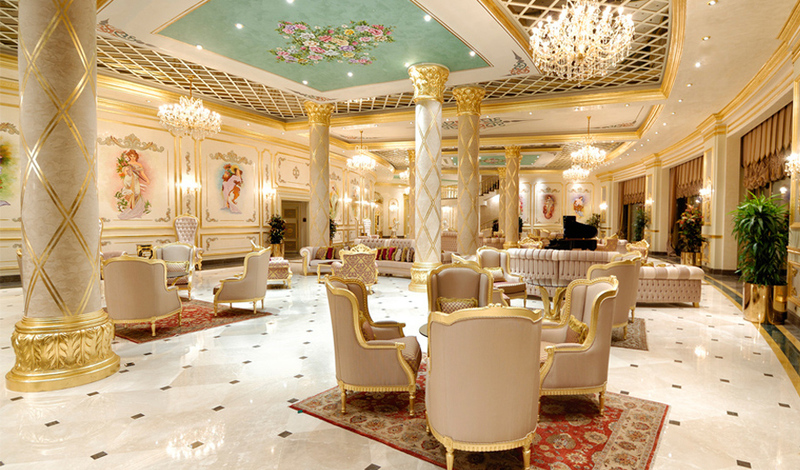 It features five bedrooms, six marble bathrooms, living room, dining room and kitchen. 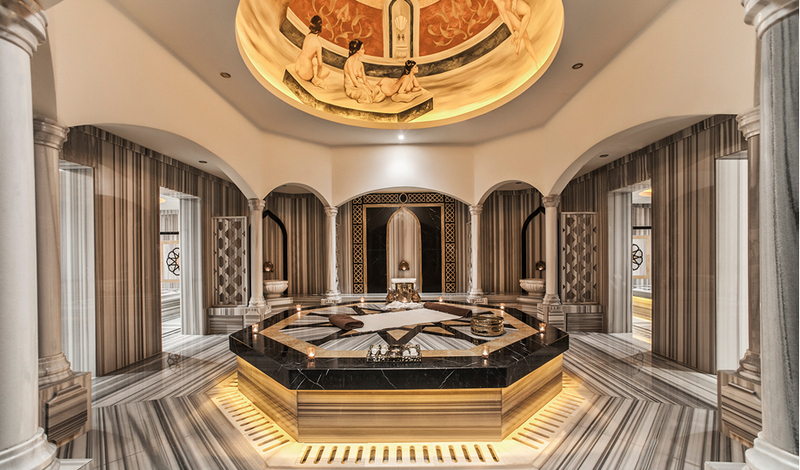 It also offers a Turkish bath, massage room, sauna, private indoor and outdoor pool, jacuzzis, terrace, elevator and private Butler. 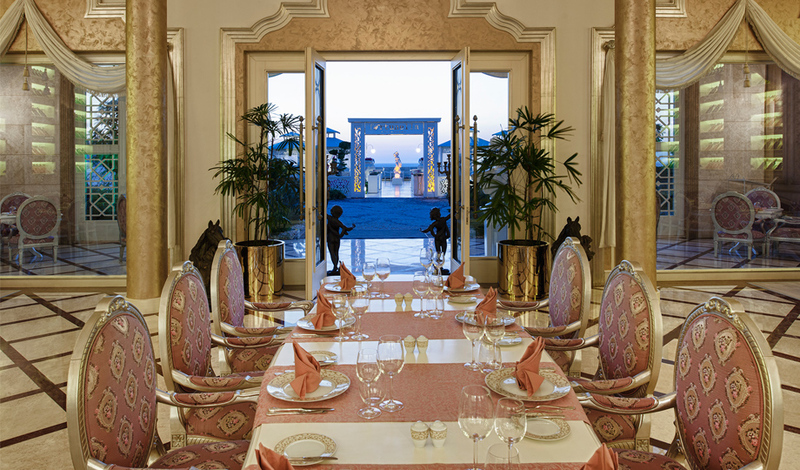 Guests have the luxury of enjoying fine dining at four separate speciality restaurants at the resort, including a selection of Italian, Asian Fusion, Seafood and Turkish cuisines. 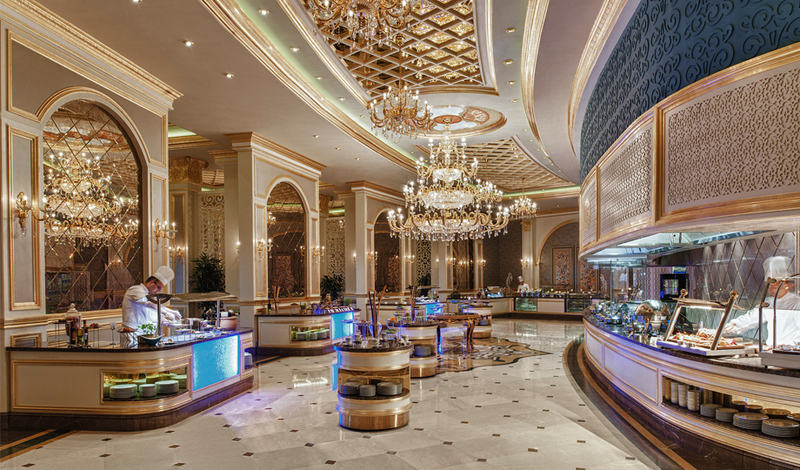 With menus drawing inspiration from the Californian lifestyle, a farm-to-table concept and locally sourced fresh ingredients, our dining offers an array of elite and healthy options. 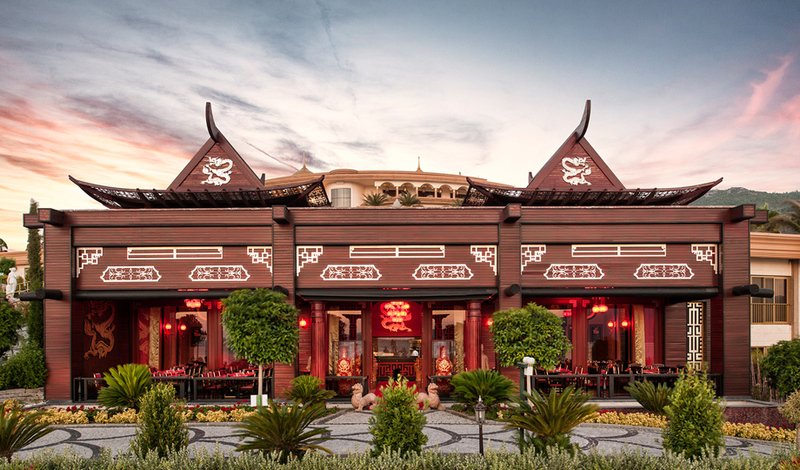 The resort has serveral lounges, including an expansive outdoor shisha lounge and bars with entertainment, a resident DJ spinning and live band performances. Guests can also relax on the decks adjacent to the large salt-water and freshwater swimming pools and recharge in luxury with well-crafted refreshing cocktails and light bites from morning to evening. For those seeking privacy, the resort offers 30 private overwater cabanas complete with personal bars and audio/visual facilities. 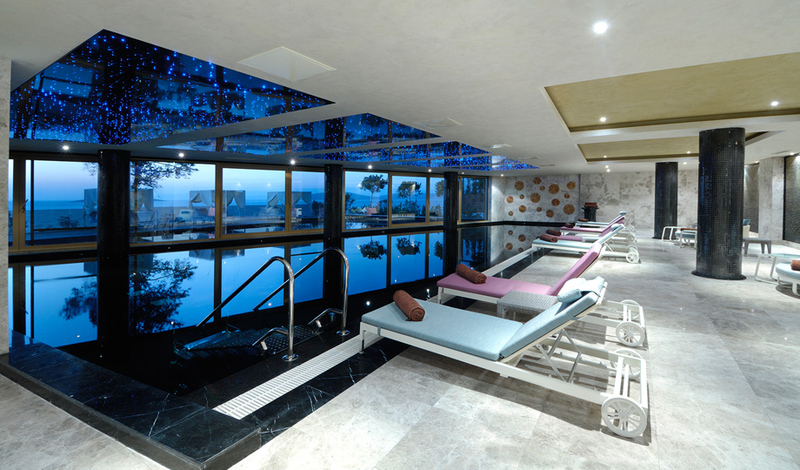 The resort’s Spa & Wellness Centre is designed for guests to undergo the ultimate spa experience in the region. Our honorable team of carefully selected professional therapists from around the world specialize in an extensive range of classic, Eastern and Turkish treatments. Inspiring and impeccably furnished wellness cabanas offer the ultimate royal treatment in an overwhelmingly serene space. 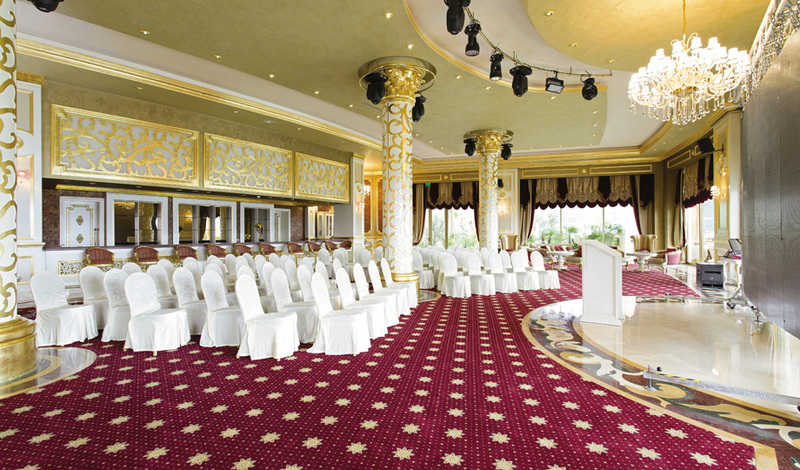 With both indoor and outdoor meeting and business spaces available, the resort boasts up to 1000 m2 in venues complete with state-of-the-art audio/visual equipment. 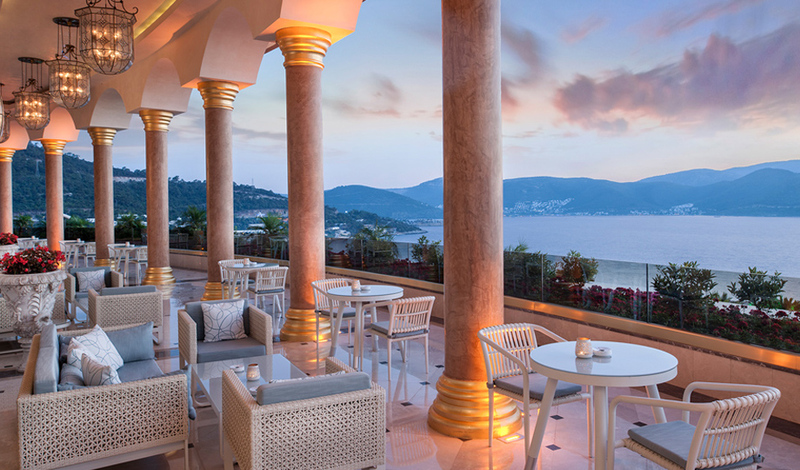 Some venues feature spacious terraces overlooking the beautiful Torba Bay. 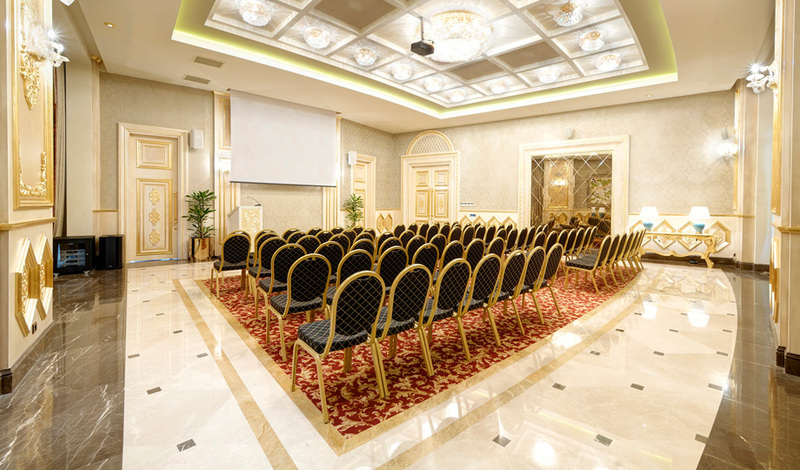 Our dedicated event manager, array of meeting amenities, themed packages with entertainment, innovative culinary options and state-of-the-art audio/visual technologies with advanced IT solutions allows us to deliver a world-class experience with pride and ease. 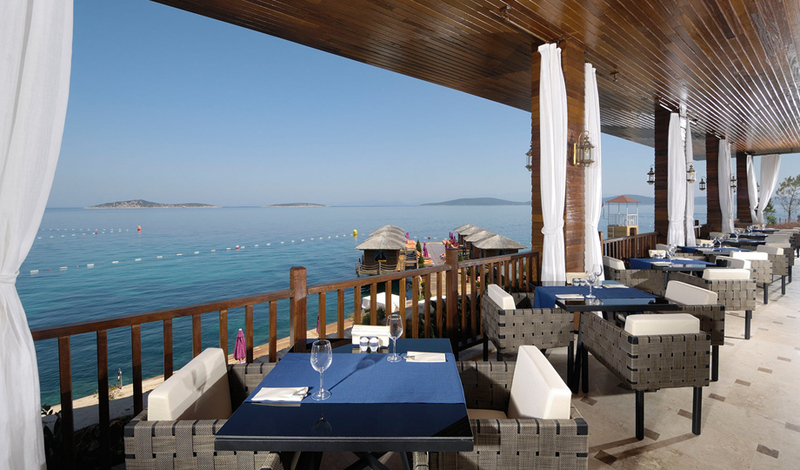 The Bodrum by Paramount Hotels & Resorts rests a quick 10 km away from Bodrum’s City Centre. Its attractive downtown area is complete with a phenomenal marina, historical sites, markets, endless dining options and an incredibly lively nightlife.